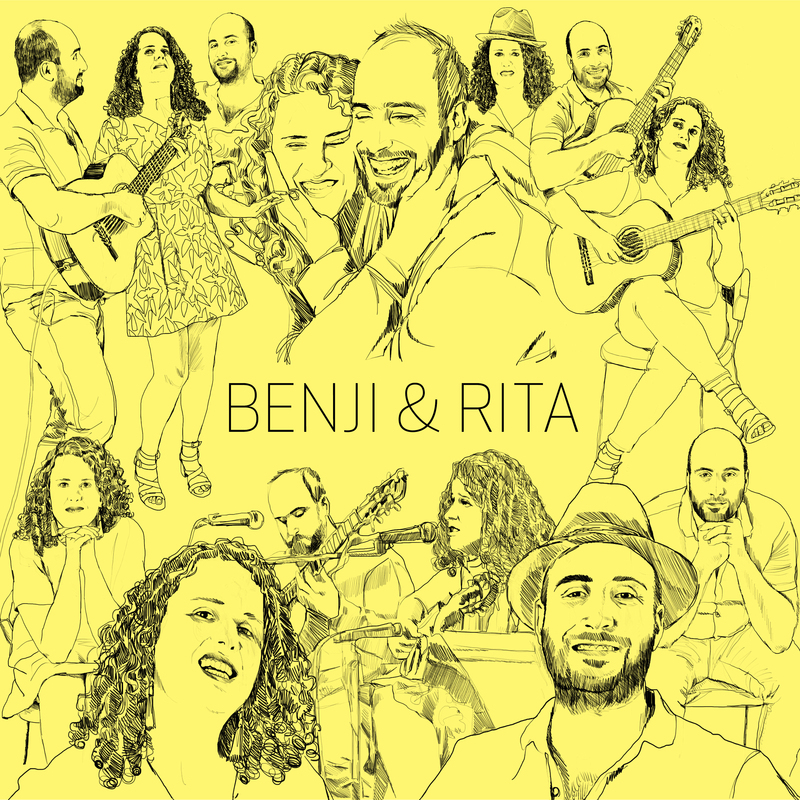 Partners in life and in music, they are also partners in songwriting, with Benji’s outstanding compositions blending perfectly with Rita’s compelling and visually expressive lyrics. 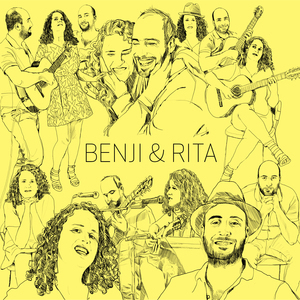 Likewise, Benji’s virtuosic guitar fuses seamlessly with Rita’s lovely and beguiling voice with an intimacy and unity of essence that is simply mesmerizing. and Rita Figueiredo are two well-respected Brazilian jazz musicians, though their approach is quite different. Kaplan, a New York native, is an intimate songwriter who gently strums the guitar, sings poetic lyrics, and harmonizes gorgeously. Rita Figueiredo, who hails from São Paulo, Brazil, has similar traditional Brazilian music-meets-jazz influences, but with a much more theatrical approach. Her talent as a composer with her fierce singing style gives her music unbridled passion. Rita's intensity of spirit might seem to be an odd mix with Benji's understated complexity but it's quite a logical fit. You really can't do better than these two when it comes to current players of this genre.” By Aaron Carnes - East Bay Express. "A guitar player with impeccable technique and fluency. 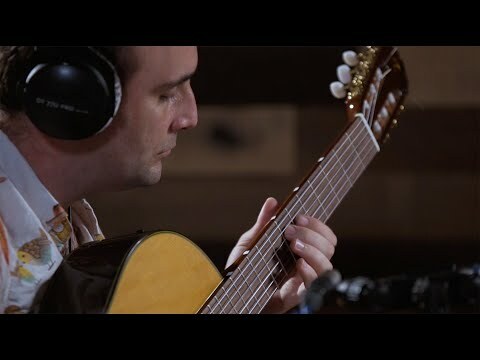 Meditações no Violão (guitar meditations) is a collection of poetic and refined compositions, played with a perfect balance of intellect and emotion." Jazztimes. "Brasilis is the birth registry of an uncommon artist, a skillful composer and irreverent interpreter, Rita Figueiredo surprises the listener by her good taste in creating her first album." by Ed Félix - Embrulhador. "Chorando Sete Cores is a testament to Kaplan's skills as a composer, orchestrator, and musical visionary of exquisite taste, all wrapped up in the passion and style of Brazil." By Geaninne Reid - All About Jazz. "Brasilis is the portentous debut of a talented artist who has everything to subvert the logic of contemporary women' Brazilian popular music." by Tiago Ferreira - Na Mira do Groove. Brazilian music has a keen ability to tie the magical and surreal with the grounded and historical. 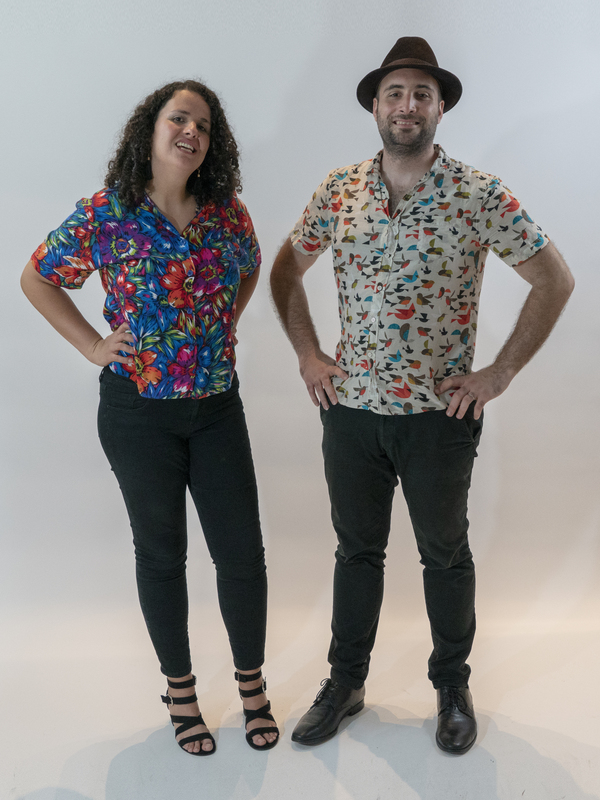 New York-based composer Benji Kaplan and Brazilian singer and songwriter Rita Figueiredo pick up that vibrating, multicolored thread and weave it into fantastical new portraits of Brazil and New York on Benji & Rita (release: May 10, 2019), their album-length debut as a duo. 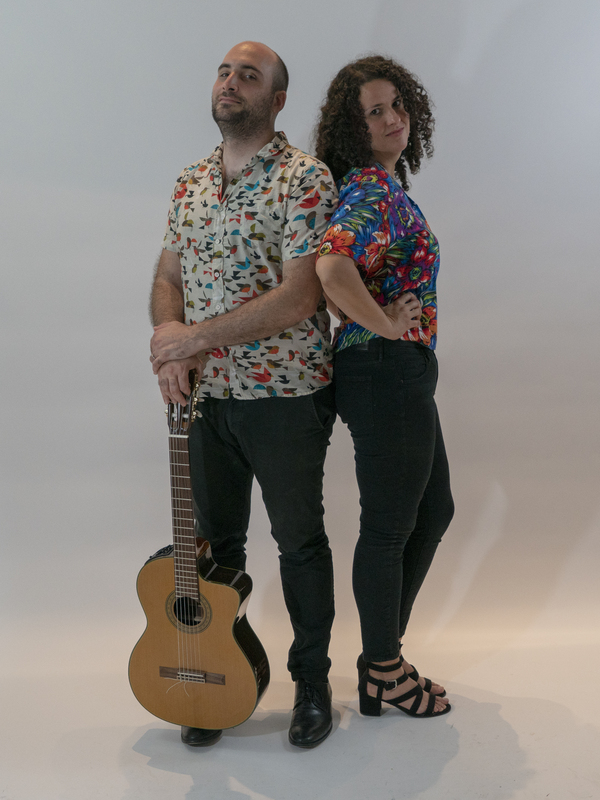 Cinematic and refined, Benji & Rita channels the scents and sounds, the flora and fauna of the couple’s homelands, drawing on everything from samba and baião, to waltzes and pop catchiness, much as Brazilian popular composers have over the last five decades. “Some lyrics I wrote after Benji created the arrangement,” Rita says. “I could see images because when you have just a simple melody, you have more freedom to create things. With an arrangement, though, you see landscapes and stories in more detail. 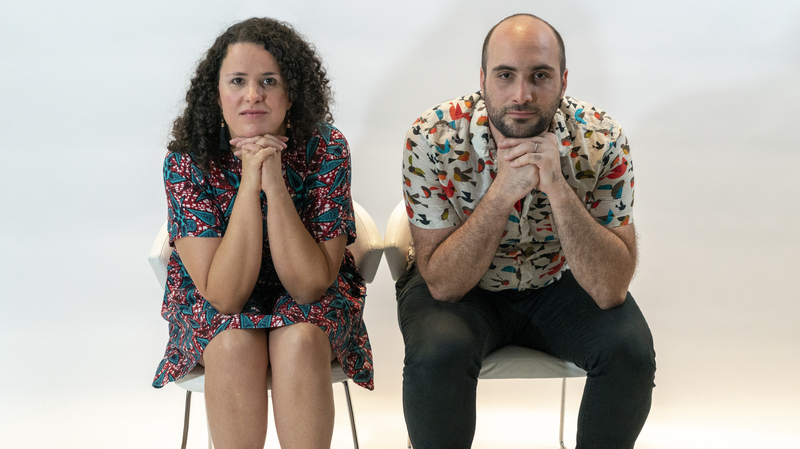 Both ways, I felt the narrative.” And that narrative, of Amazonian rivers and crazy megalopolises, of sparkling love and quiet grief, shines through the duo’s exquisite songs. 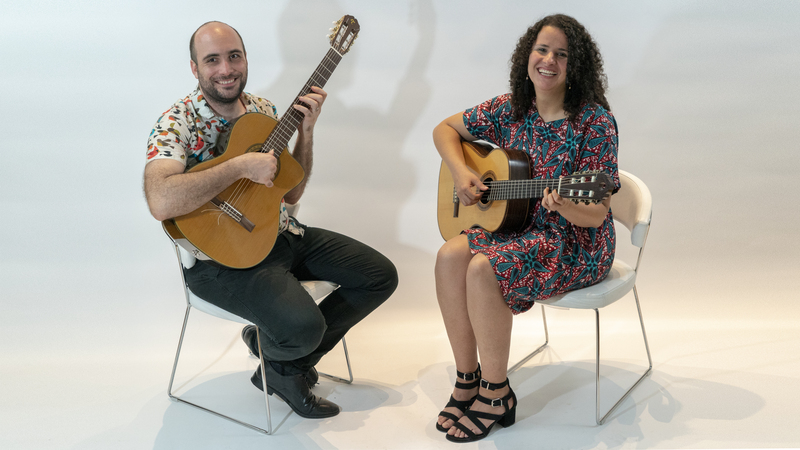 For Benji, “Rita was the missing link.” He had immersed himself utterly in the music and language of Brazil, writing and releasing his own compositions inspired by the world he came to love. Then he met the songwriter, singer, and animator in Rio after a show. They swiftly began sharing musical ideas. Then they decided to share a life. They both had substantial creative lives when they met. Son of a Cuban percussionist and American visual artist with four albums under his belt, Benji, although having had formal training at the New School for jazz guitar studies; He is almost entirely self taught as an arranger, composer and guitarist of European and Brazilian classical, and popular music in which he seamlessly blends his musical passions into nuanced pieces. He has performed and studied with artists such as Junior Mance, Chico Hamilton, Bernard Purdie, Rodney Jones and Barry Harris, to name a few. Rita was a classically trained singer who shifted to popular forms, recording a 2013 debut album rich in stories that made numerous “best of” lists. (She has dedicated decades to animation and illustration, with works featured in more than 20 international Festivals, had cartoons and vignettes featured on MTV Brazil and USA, Nickelodeon, TV Cultura and many other networks. Her visual arts crossed over into a more music-specific realm when she created visual elements and videos for artists such as Marisa Monte, Ed Motta and Cássia Eller, among others). Rita’s vivid penchant for storytelling proved the perfect complement to Benji’s musical worlds. 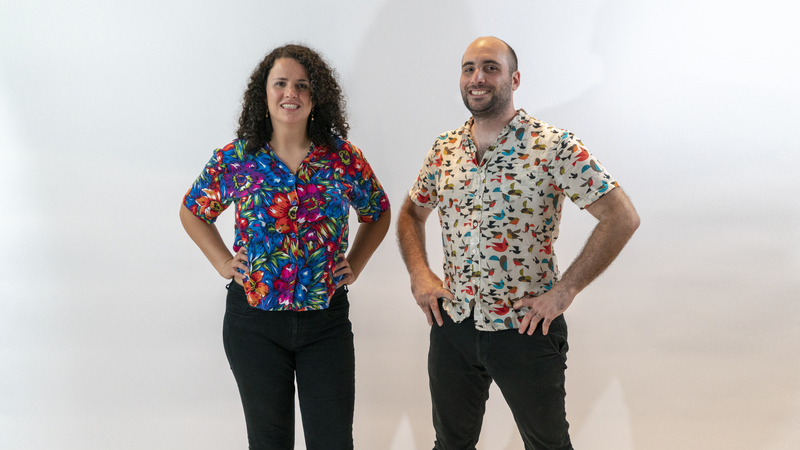 On Benji & Rita, they explore the tensions and possibilities of the duo, often extending dramatically beyond their two instruments of voice and guitar, into big, polychrome worlds. “The album has arrangements meant to take you out of the voice and guitar realm, but we also kept things simple with more traditional tracks, where you’ll just hear guitar, voice, bass, and drums,” Benji notes. “Piocerá” chronicles an epic journey through several Brazilian provinces, told from the perspective of someone boating down the Sao Francisco River, to the sway of the baião, the rhythm of Brazil’s northeast. “When I heard the melody for the first time, I wanted to create a story about a guy who lived in the Northeast and uses the boat to ride past the two states, Piauí and Ceará, that make up the name of the song. I use these wonderful expressions from northeastern Brazil, words that might not be clear to people who aren’t from that area,” but that convey the character of the place. The regional vibe is further enhanced with the zabumba, a percussion/bass instrument popular in the area.